This has gotta be the coolest Christmas tree I think I’ve ever seen. 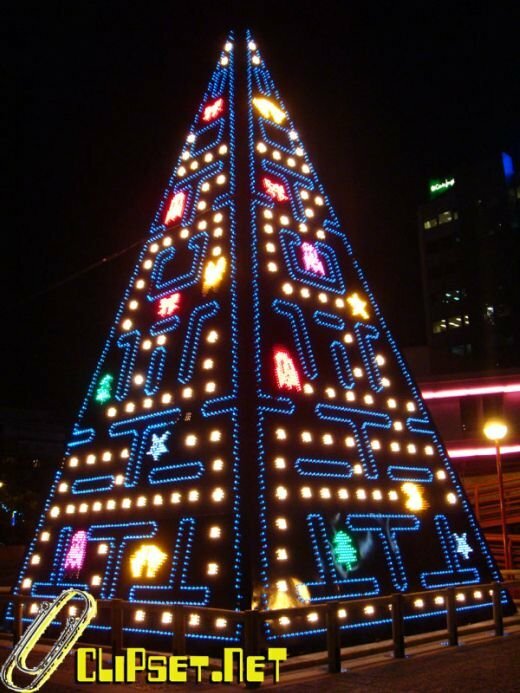 Pac-Man and his ghostly pals have been reproduced in this giant holiday light display. The “tree” features a fully-animated version of the classic arcade game, rendered across thousands of colored LEDs. From what I can tell (my Spanish isn’t that great), its currently on display in downtown Madrid at Nuevos Ministerios.